Dolls of saints: A selection of the saint peg dolls created for the Mother Effect saint peg-doll exchange. 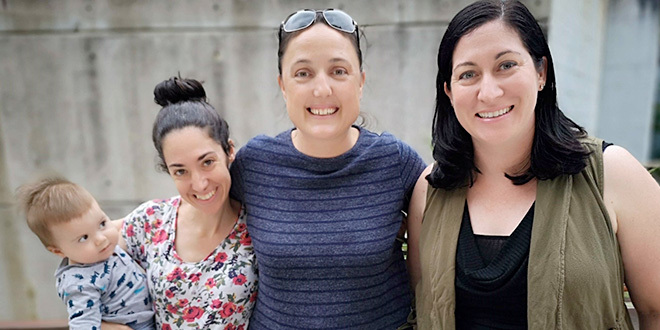 WHEN Brisbane mother Melissa Haworth pitched the idea of a saint peg-doll exchange to the Mother Effect Ministry team four months ago, she had no idea the impact it would have on mums around Australia. Mrs Haworth, who had seen saint peg-doll exchanges being done in America via social media thought it would be a fun and useful activity to undertake. “I liked the idea of creating something to teach our kids about saints,” Mrs Haworth said. Initially only expecting about 15 participants, the project drew registrations from around Australia, leading to just under 50 families participating to produce about 600 individually painted saint peg dolls. Mums from rural and city locations across Victoria, New South Wales and Queensland each selected a saint they would like to paint. A major motivation for the unique project was to offer a source of engagement for mothers who might feel isolated raising their young children. Part of this networking drew the attention of The Makers Table, a Catholic crafting group from Sydney. Creative minds: From left, Peter Haworth, Melissa Haworth, Carrie McCormack and Nicky Ashley. The Makers Table and Mother Effect hosted painting sessions in their respective cities to give mums an opportunity to paint and connect with each other. Participants not located in these cities were encouraged to engage via social media to share the progress of their saints and encourage each other. “It was a beautiful experience of connection with other mums for me,” Janine, from Armidale, said. 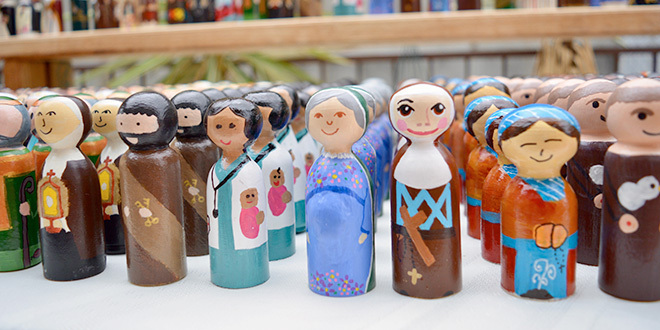 With the success of the saint peg-doll exchange, plans are already underway for a future peg-doll exchange early next year, this time focusing on characters from the Bible. “This equips the parents as first educators and brings the Gospel to life in the home,” Mrs McCormack said.